Phosphor Art’s Fiammetta Dogi recently bagged some space in the gorgeous new Betty Annual. Betty is a beautifully designed independent magazine for women about women. Their philosophy is for people to embrace who they are and celebrate it. 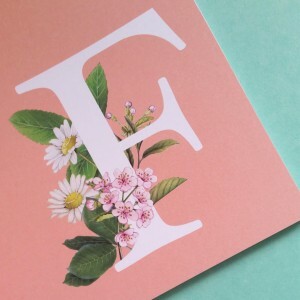 Fiammetta created several chapter headings consisting of beautifully intricate flowers wrapping around letters – definitely worth cutting out and framing!